Gay Life in Fernando de Noronha. We are afraid you won't find any specific gay life in Noronha. Brazil is known for its beautiful beaches, rich and diverse culture, bikini clad women, lively nightlife and its innumerable carnivals and festivals. Thousands of people, gay and straight, visit Brazil every year. In fact, Brazil is a popular destination for gay tourists. The mainland offers a variety of services for gay tourists. 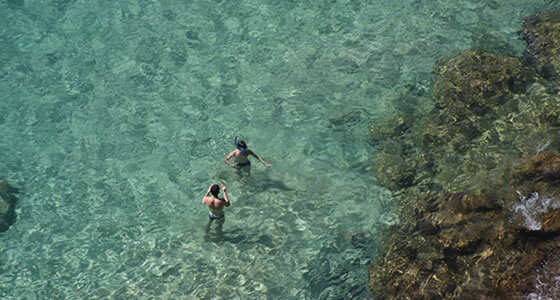 There are plenty of gay-friendly tourist operators in Noronha. If you are particular about taking along a gay partner to Fernando de Noronha, then you need to look for a partner in one of the cities of Brazil. Several cities and small well developed islands provide good services for gays. There are special night clubs, resorts, spas and hot spots for gay tourists. Fernando de Noronha doesn’t have any services or agencies who can offer any gay services. All the hotels, bars, lodges and restaurants are gay-friendly. However, it is possible to come across gays in hotels, inns and bars. They are usually the inn owners or the hotel staff. Fernando de Noronha doesn’t have any specific bars or lounges only for gays but they are welcome in all the places like everybody else. However, there are quite a few isolated beaches on the island that make for great gay hot spots.